According to the Mayo Clinic, the health benefits of a raw diet are clear: people who follow plant-based diets eat fewer calories, weigh substantially less, and reduce their heart disease risk more than meat eaters. Many credit the Swiss physician Maximilian Bircher-Benner as the grandfather of the raw diet movement, which began in the 1800s. After Bircher-Benner came down with jaundice, he treated it by eating raw apples, which he suggested cured him. The doctor believed that raw food gained its nutritional qualities from the energy of the sun. He continued experimenting with raw food as a treatment for all sorts of ailments and is responsible for creating muesli – raw oats, fruit, and nuts. 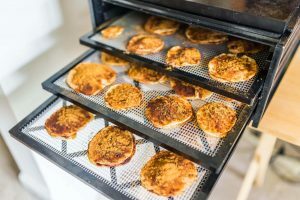 Using a food dehydrator can help you reap the health rewards of a raw diet and eliminates processed foods and chemicals from your diet. 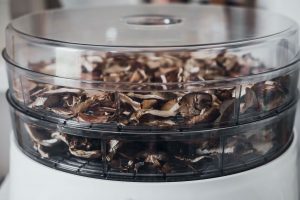 Experimenting with food dehydrator recipes is also a great way to save you a bundle of money. 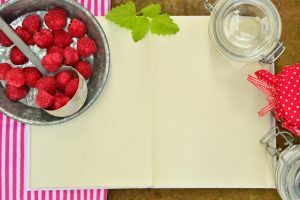 What is a Vegan Raw Diet? A vegan raw diet is exactly what it sounds like: eating raw foods. 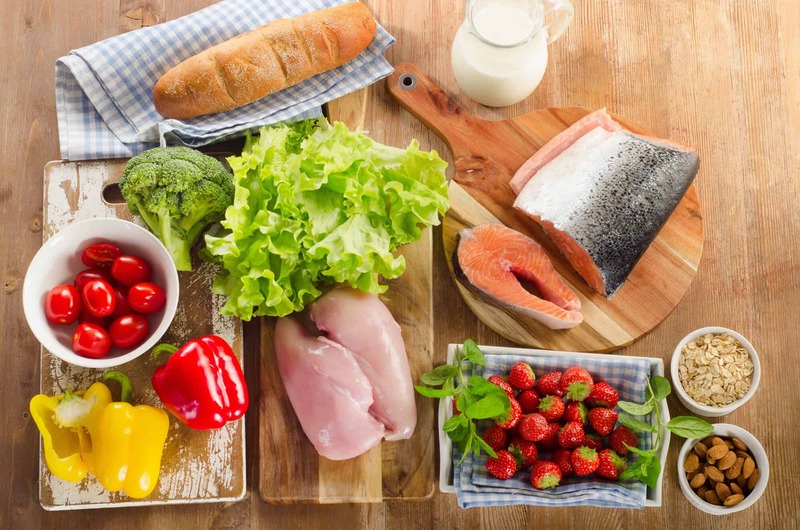 Not only will you be reaping the health rewards of this type of diet, but you’ll be saving on your energy bill, too, because your oven won’t be needed. The basic idea behind this type of diet is that raw food contains plenty of healthy enzymes and nutrients. However, when you cook or microwave these foods, their nutritional value gets zapped. Enzymes are believed to help improve your digestion and keep chronic diseases at bay. Some say a raw food diet can also help with allergies, arthritis, blood pressure, heart disease, and diabetes. Dehydrators are an especially great way to retain all of the nutrients without compromising the taste. 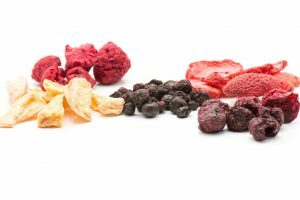 We suggest trying a few of our fantastic food dehydrator recipes below. 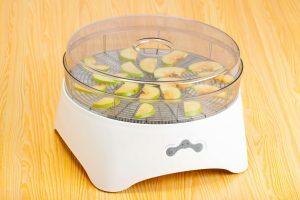 Using a food dehydrator is a great tool for success in your raw vegan diet. Not only does it preserve all of the raw nutrients in your foods, it saves you time and money in the long run. 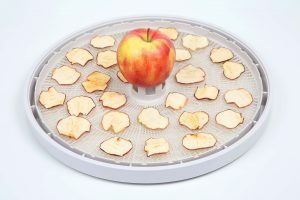 Save time and money by making your own food dehydrator recipes. Check out the seven tasty ones we’re sharing below. Zucchini chips are a healthy alternative to potato chips and are so simple to make. Sweet potatoes also make for great chips, too. Mix remaining ingredients together and pour over zucchini; cover and shake to coat zucchini. Spread zucchini on lined dehydrator sheets at 145 degrees for one hour. Drop temperature to 120 degrees and dehydrate for 12 hours until crispy. Enjoy! If you’ve been craving scones, we’ve got the perfect recipe for you to try. Blend flour, flaxseed, coconut flour, sea salt, in a bowl and set aside. Add dates, vanilla, coconut, nectar juice, zest, and water to food processor until smooth. Mix wet and dry ingredients together with mixer. Stir chia seeds into batter; shape into eight scones and place on a dehydrator sheet. Dry for 12-14 hours at 115 degrees. Mix all ingredients together, adding small amounts of water at a time until smooth. Drizzle over scones and sprinkle with chia seeds. Eating flax crackers is a great way to get your daily fiber intake. Try these with soup or smear with avocado. Add seeds to a blender and grind; mix in a bowl with remaining dry ingredients. Add water and let sit for 15 minutes or until all water is absorbed. Spread mixture on parchment paper; place in a food dehydrator for at least two hours. 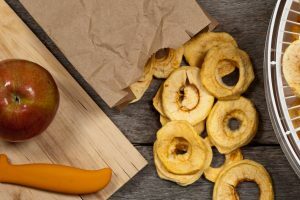 This tasty snack is great to take along on a trail hike or for watching your favorite movie on Netflix. Mix together oats, coconut flakes, nuts, cacao nibs, chia seeds, and salt. In a separate bowl, whisk together cacao powder, vanilla, and maple syrup until smooth. Pour cacao mixture over oats until coated. Put mixture on tray and pat; transfer to the dehydrator and dehydrate at 115 degrees for 10 hours, until dry. Separate granola into bite-sized pieces. Store in airtight container. Drying your own herbs is a wonderful way to get the best taste of the freshest ingredients. Try this easy process today! Trim any dead leaves and stems from herbs. Leave a small stem for handling herbs to prevent bruising. 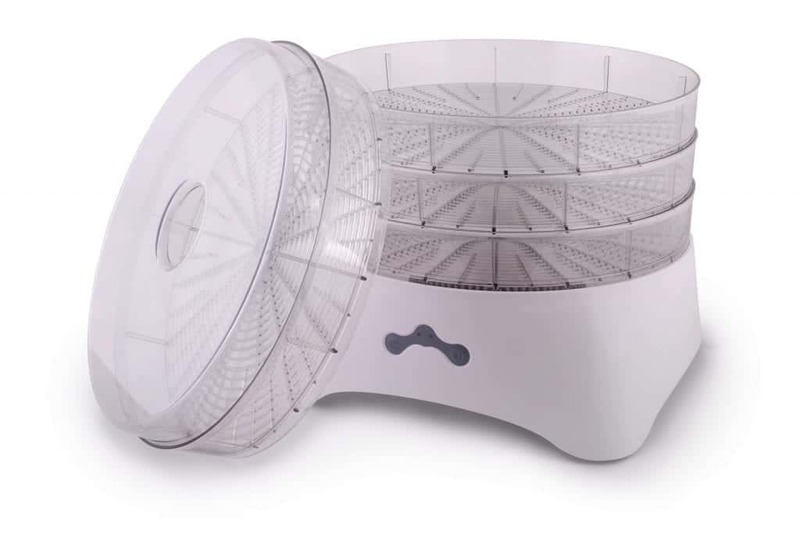 Place a single layer of leaves on the dehydrator tray; cover with a screen if needed. 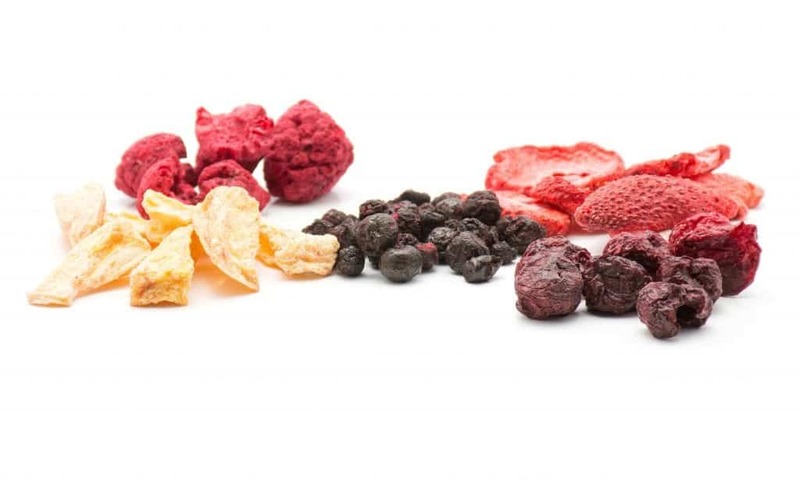 Set on low temperature between 95 – 115 degrees for best flavor; dry for four hours. Store herbs whole until needed; crush before use. This is a very filling gluten-free bread recipe from Ann Oliverio to eat with hummus or on its own for breakfast. 1 cup buckwheat groats, soaked overnight, rinsed and drained. Add water, garlic, red onion, lemon juice, and molasses or agave until smooth. Scrape into large bowl; add flaxseed meal, cacao, caraway seeds, and black pepper. Mix until blended. Spread on a dehydrator sheet, no more than 1/4 inch thickness. Score dough into square shapes. 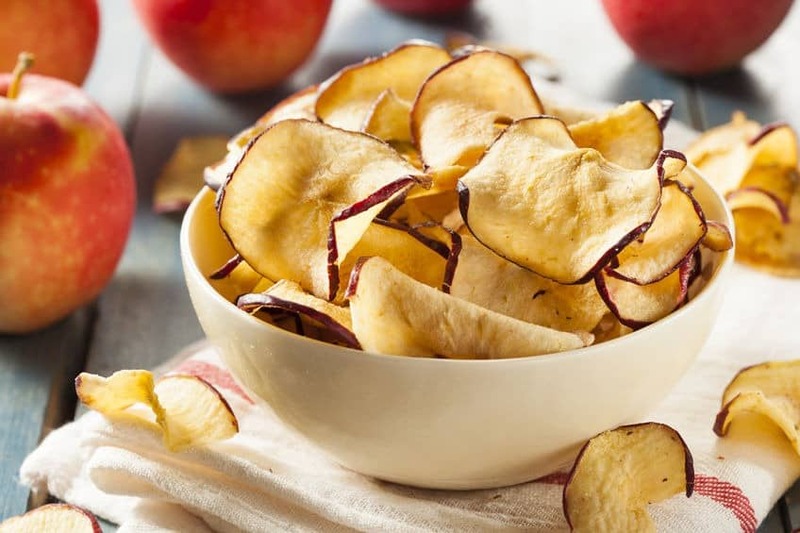 Dehydrate at 115 degrees for eight to 10 hours; for a crispier texture, dehydrate for 12 hours. Flip dough onto mesh screen about halfway through to speed up drying process. 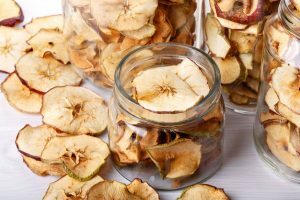 If you’re inspired by these healthy food dehydrator recipes, we hope you return to our site for more great ideas. 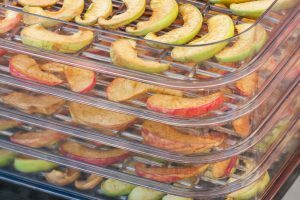 Whether you need help selecting a new dehydrator or just need some more food dehydration tips, we’ve got you covered.